December and January are good months to visit Morocco. It is a popular time of year, which means the souks and cities are filled with buzzing energy, but you can always seek out some quiet if you know where to look. Exploring the Sahara is perfect – while it’s cold at night, the days are sunny and warm and of course, there’s usually no rain. 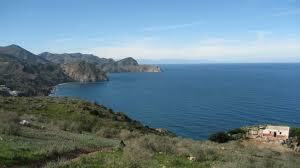 Hiking in the Rif, particularly the coastal national parks around Al Hoceima, is spectacular. Fez and Marrakech are cold but it’s often sunny and dry. You could even head south where it’s warmer, to go location-spotting (as seen in Games of Thrones!). It is winter in Morocco during this time, and the weather varies from region to region. On the whole, the days are sunny and an average of 15 degrees; while the nights can be very cold. There is snow on the mountains (fancy some skiing in Mischliffen?) and the Atlantic is a nippy 18 degrees. Areas where there’s a Mediterranean climate (the Rif, the coasts) have more winter rain. Winter 2017/18 saw huge snowfalls as far south as Ouarzazate – the first for 50 years. Snow on palm trees is weird. Moroccans don’t celebrate Christmas but are respectful of this holiday. Special meals can be arranged at your guesthouse and many of the cafes, restaurants and hotels host low-key New Year’s Eve functions.